This entry was posted on Thursday, August 13th, 2015 at 3:51 am	and tagged with Food, key lime pie martinis, Life and posted in Food. You can follow any responses to this entry through the RSS 2.0 feed. Fried green tomatoes are one of my absolute favorite foods. Now I am hungry. I just passed 35 and I never even managed to write my 35 before 35 list. That was the one thing I really hoped to accomplish. So what was the conclusion? I love fried green tomatoes, but hate making them myself. Looks like there was a probably spicy sauce on the side. I love fried green tomatoes. We make em a bunch now that our plants are growing. As always, I like the way you think! I’m kind of a purist. I like my tomatoes red and raw, and my martinis without key limes, chocolate or pralines. I’m about as fun as a bag of nails, but I’m okay with that. I tried Rocky Mountain Oysters the other day… I moved to Colorado and had to partake in the ways of the west at least once. It’s a really big mental hurdle you have to get over, but it’s a nutty accomplishment! Fried green tomatoes are the bomb diggity! I can’t believe you never had them before! If you make them all about food, you’ll have no trouble hitting the end. Or at least I would have no trouble. A summer treat! Each and every summer. hi! check out my blog? Hey I turned 34 last month and don’t have any list yet. Seems I am running out of time…Better hurry. 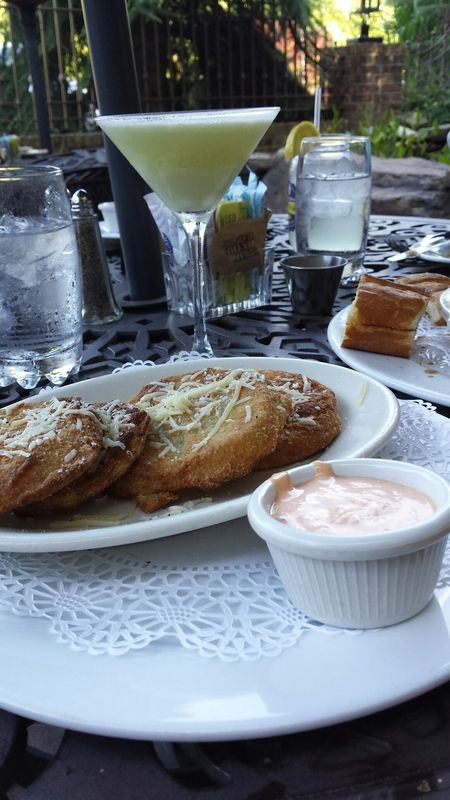 I’d like to ask you, are Fried Green Tomatoes as amazing as they look?